One of the most exciting things about Essential oils, is the many ways you can use them! You can learn more about how essential oils work within your body at the following article written by Dr. David Hill, dōTERR A’s Executive Vice President, Chief Medical Officer / Chairman, Scientific Advisory Committee. 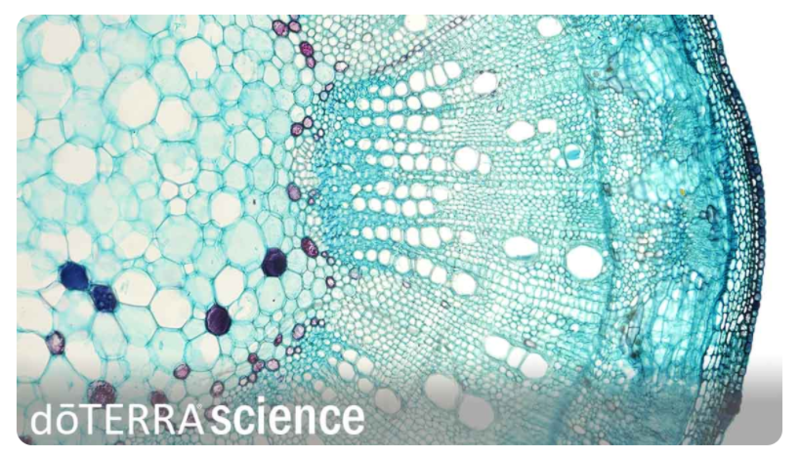 doTERRA also has a wonderful science blog, that has more of the science world behind the oils, for those who love to get into it at the cellular level! The effects of essential oils are far-reaching regardless of their method of application. Such powerful biological influence would not be possible if essential oil compounds were not lipid soluble and did not have small molecular size. These unique structural properties give essential oils powerful biological influence throughout the body. There has been tremendous progress in understanding the biological interactions of essential oils (1). The oils have been subjected to widespread study in both clinical and experimental research environments, which has given us a greater understanding of their relevance to health than ever before. You will begin to see a large expansion of studies on essential oils, keep an eye out on the website: pubmed.gov. 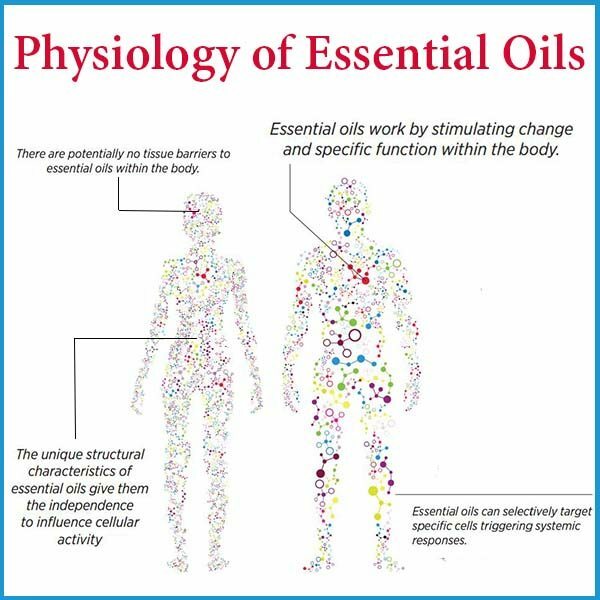 Essential oils are physiologically active, which means they directly influence the body. 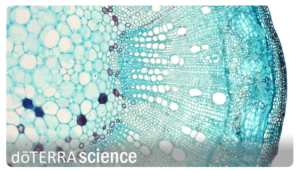 Unique structural features of essential oils allow them to be active both on the surface of cells and within cells. Every cell is enclosed in a protective barrier called a membrane that serves to maintain the cell as a closed system separate from the outside environment. Imbedded in the membrane are surface receptors that serve as a line of communication between that individual cell and the rest of the body. When the proper substance binds with these receptors, it initiates a cascade of chemical changes on the inner side of the cellular membrane, triggering modifications in the function of the cell. Interaction with these easily accessible receptors is one way that essential oils communicate with cells and impact cellular activity. The cellular membrane has a crucial double role of keeping out unwanted intruders while still being permeable (passable). Energy sources and other important substances must enter while waste must be removed. Most substances cannot penetrate the cellular membrane, so a number of specialized transport mechanisms (cofactors, transport vesicles, etc.) are employed to allow necessary substances to move into the cell in a controlled and well-regulated fashion. The cellular membrane is composed of lipids. Because essential oils are lipid soluble and small, they have no problem crossing the membrane. Essential oils have the ability to influence cells even when there is physiologic compromise such as during times of poor nutrition or environmental threats. If a cell becomes compromised for any reason, it depends on additional systems and functions within the body to regain optimal function. For example, a compromised cell may lose the ability to efficiently pass substances across its membrane and in turn, have difficulty getting what it needs to maintain itself. Often this becomes a cyclical problem—the cell can’t repair itself without the proper exchange of nutrients, but it can’t get the proper nutrients because membrane transport mechanisms are suboptimal. See the issue? Because essential oils do not depend on cellular transport mechanisms to enter the cell, they can easily cross the cell membrane and provide benefits directly to the cell. Essential oils can also influence the brain by passing from the blood into the brain. The blood brain barrier is the most secure tissue barrier in the body. It is highly selective in order to protect the fragile tissues of the central nervous system. This barrier only allows passage of certain compounds that are crucial to brain function (glucose, some amino acids, etc.). Novel research has demonstrated that certain sesquiterpene constituents found in essential oils can directly cross the blood brain barrier because of their small molecular size (2-4). Although sesquiterpenes were particularly studied, it is reasonable to assume that other essential oil compounds, especially monoterpenes, which are structurally smaller than sesquiterpenes, can also penetrate the blood brain barrier. So why not take advantage of essential oils?